Before we go into the different types of domain name strategies for blogs, let us take a look at five simple tips for choosing a good domain name. Now that you know the basics of how to choose a domain, we can get into the strategy. For blogs, there are four specific domain name strategies. This is a common strategy used by businesses. If you have an existing business site, then you just add the blog under the same domain. This allows you to leverage the existing domain authority that you have established with Google. If your business domain already ranks well on Google, then your blog posts will rank just as well. Ten years ago, it did not make a difference which choice you made. Today, Google keeps different metrics for subdomains. In this case, the domain authority of the original domain will not pass to the subdomain. This means the subdomain will start from zero. The takeaway here is to not use subdomains for your blog. Use a subfolder. Once you set up your blog in a sub folder, you will want to link up the blog in the top level navigation of the site. When I refer to top level, I mean above the fold. If you bury the link in the footer, then the full page authority will not be passed to your blog. Google values links that are above the fold over links that are in the footer. In addition to leveraging domain and page authority for higher Google rankings, there are two other major benefits for running a blog through the business domain. 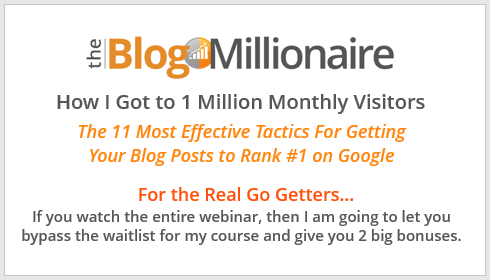 If you run your blog the right way, then it will end up getting thousands of visitors every day. Over a calendar year that can amount to over a million people seeing the brand of the business. This will lead to a significant increase in the conversion rate of your products and services. It is easier for people to commit or hit the buy button to a product brand that they have been previously exposed to. Conversion rates are higher when visitors stay on the same domain. If you were using a different domain for your blog with a unique layout, then the prospect would have to overcome the psychological shock of changing websites. This strategy is best used when you are branding your own name. For example, I decided that the benefit for branding my own name outweighed the benefits of using a sub folder under my company’s website. Instead of launching a blog from our existing high domain authority company website, I chose to start from a domain authority of zero with BrandonGaille.com. Even though I was using a different domain name, I still placed a link to my blog on my existing company website. As I mentioned before, it needs to be in the main navigation that shows up above the fold. This allows the domain authority of your established company site to flow to your new domain. It takes several months for the domain authority of the established company site to pass to the new domain. You may not see any decent Google rankings for the first 3 to 6 months when launching a blog with a fresh unused domain. If you do not own a high domain authority website that can be linked to the new domain, then you will need to build some back links. You will want to listen to episode #02 that covers my top SEO link building strategies. If you do not have an existing business and do not want to brand your personal name, then this is the best strategy. When businesses go under and blogs are forgotten, their domain name fees are no longer paid. After the domain renewal date passes, then the domain is resold in an auction by the domain registrar. 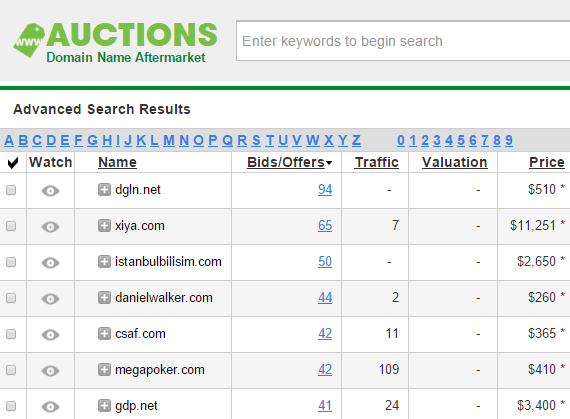 GoDaddy Auctions is the 800 pound gorilla in the domain aftermarket economy. This is where your time is best spent when looking for an aftermarket domain. There are two primary benefits of aftermarket domains in regards to using them for a new blog. When all else is equal, Google prefers domains that are older. Although it is not a huge factor anymore, it still has some weight in the Google ranking algorithm. Many of the business and blog domains that expire will have existing inbound links pointing towards them. This is the big difference maker, and you want to search long and hard for an expired domain with at least two to three quality inbound links. I have outlined my complete process for identifying high value aftermarket domains in my course. An expired domain with strong back links will save you 1 to 2 years of having to build it yourself. The average cost for a quality aftermarket domain will be between $800 and $1700. There are three situations when the multiple domain strategy will come into play. This is often used in combination with the aftermarket domain strategy. 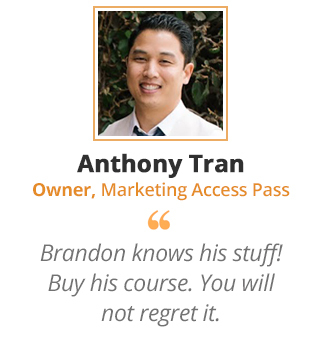 Instead of buying one domain in the aftermarket, many bloggers will buy two and launch both simultaneously. For six months, they will write weekly posts on the same topics. This allows them to see which domain name ranks better on Google. At the end of the six months, they sell the low performer and shift all their efforts to the high performer. Larger companies will often run multiple blogs under separate domain names targeting different industries. This allows them to publish hyper focused content to a specific industry where they acquire a big chunk of their customers from. An example of this would be having one blog specifically tailored to lawyers and another blog tailored to accountants. This is most commonly used with Google Adsense. A network of blogs enables you to have a blog for health, business, fashion, and so on. All four of these strategies are perfect for different situations. It all depends on what you are trying to accomplish.